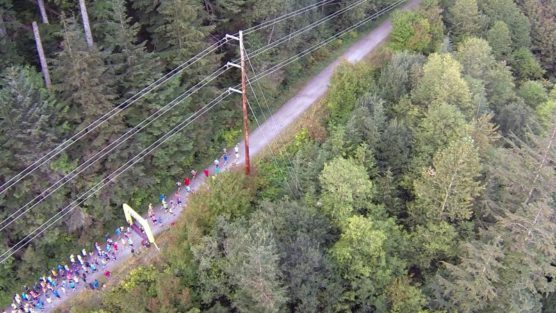 If you’re ready for an almost all-downhill run along a pair of riverside trails in the Seattle area, then the Iron Horse Half Marathon has what you’re looking for: a point-to-point route that starts in Olallie State Park and finishes in nearby North Bend, taking runners alongside the Snoqualmie River as they make their way near the end of the race. Run between two parks. Runners start the race at Olallie State Park, a 2,336-acre park that lies just over 45 miles west of Seattle and features a series of hiking trails and the waterfalls that it’s perhaps best known for, as well as the rocks and rubble left behind by a massive landslide eons ago at Cedar Butte. From there, the race heads onto the Iron Horse Trail that the race is named for, built on the old railroad corridor that was part of the Chicago, Milwaukee, St. Paul, and Pacific Railroad from 1908 all the way up to 1980. Today, the walking, hiking, running and biking trail stretches more than 200 miles from Washington all the way into Idaho. You’ll follow the trail through Iron Horse State Park, where you’ll pass through forests and old railroad tunnels, and over trestles as you wind through 3 and 4, on your way to the first major turnaround point of the race, where the trail meets up with Cedar Falls Road near Rattlesnake Lake. Second half on the Snoqualmie Valley Trail. After you make the turn, you’ll run back for a brief stretch along the route you just came down, and then head onto the Snoqualmie Valley Trail, also built on top of an old railroad and 32 miles long, stretching between nearby Duvall and Rattlesnake Lake. There’s a brief flat stretch here, and then it’s mostly downhill for the rest of the race, all the way north to the finish line in North Bend at Claggett Field. There, organizers say they’ll have “a post-race beer garden and free barbecue,” as well as free professional photos for all race participants. Nestled along the North and South forks of the Snoqualmie River, about 30 miles southeast of Seattle, North Bend typically sees its warmest and driest weather of the year in August, when temperatures average between the low 50s and the mid-70s, and rainfall totals average about 1.5 inches. 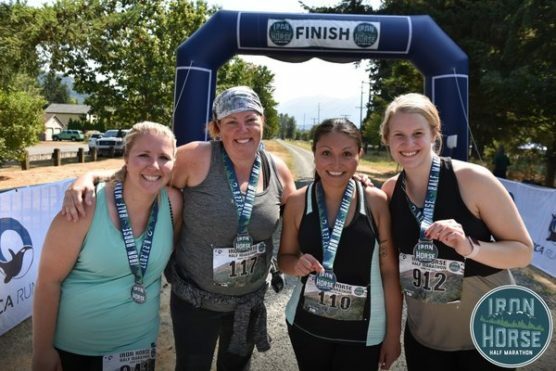 To reserve your spot in the 2019 running of North Bend’s Iron Horse Half Marathon, register online at RunSignUp.com here. 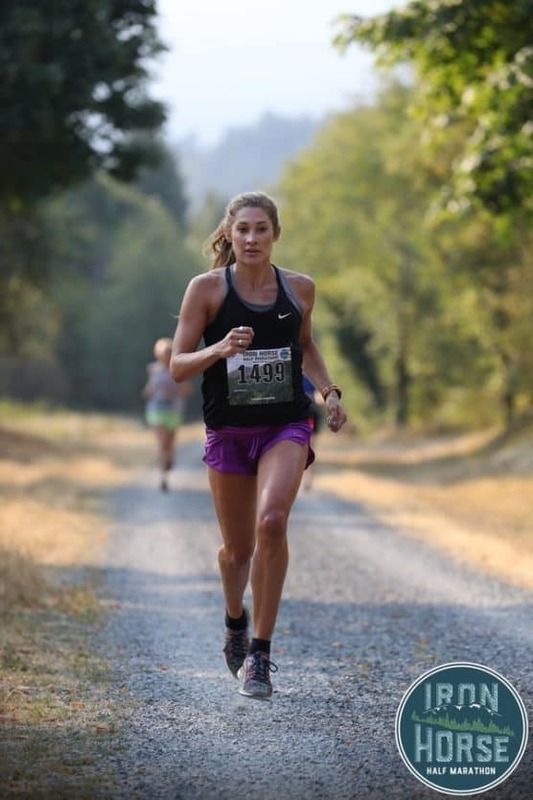 Ever run in the Iron Horse Half Marathon? Share your impressions here, as well as anything you learned about the race that you think other runners/walkers should know.